Taraflex™ Badminton is the safest, most durable indoor badminton surface and is ASTM F2772 (Class 1 & 2 options) compliant for the safety and protection for all players of all skill levels, from young beginners to high-level competitive professionals. 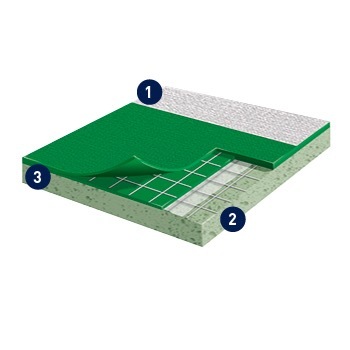 This multifunctional, world class sports surface is available in a easy-to-install, ready-to-go portable format and can also be installed for permanent use. Superior comfort and shock absorption properties reduce the risk of injuries while the canvas embossing allows for perfect footing. Taraflex™ is also FloorScore™ certified for high indoor air quality.